If you're on Instagram, you've likely seen Chef Bobby Saritsoglou at work, creating his house-made charcuterie and bread for the Greek menu at Opa. In parternship with owners George and Vasiliki Tsiouris, it's been over a year now since Saritsoglou was brought on as Executive Chef. I stopped by for brunch recently and was excited to \taste this home-grown approach to modern Greek food. Regulars to the Midtown Village area know that Opa's a hotspot for Happy Hour, with the Drury Beer Garden out back and a sleek Mediterranean bar amidst the main dining area. 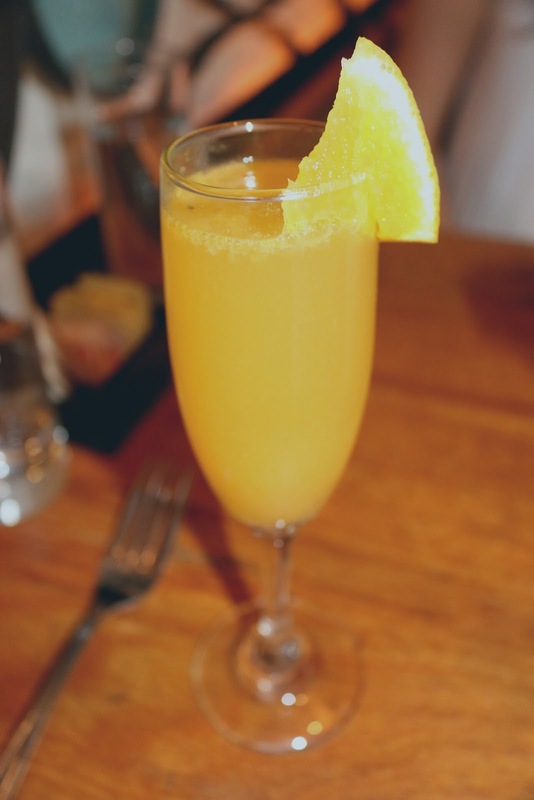 Being brunch, the GF started off with the mimosa, which comes with fresh-squeezed orange juice - right at the bar! I enjoyed the look, and more importantly, the taste of the Greek Sunrise. The interplay between the sweet pineapple juice and the smooth anise flavors of the ouzo worked well. Easy drinking here. 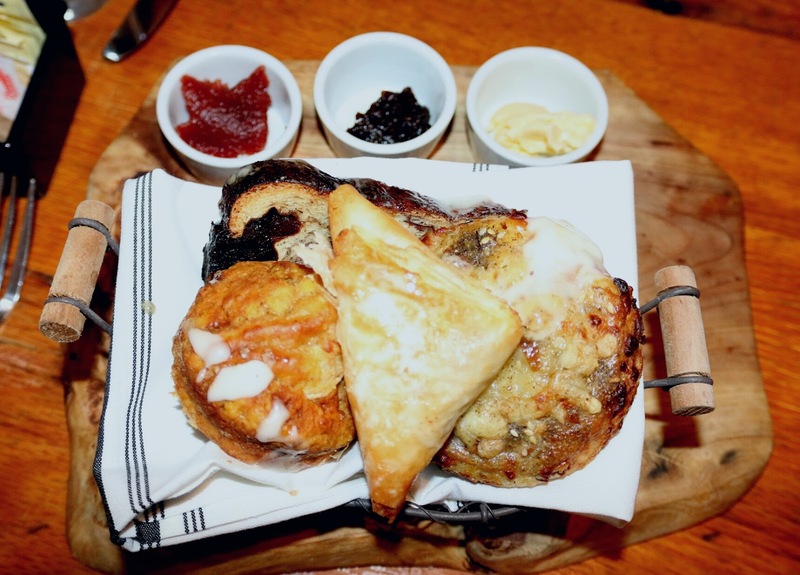 The kitchen sent out a pastry platter that should be a must-order for every brunch. 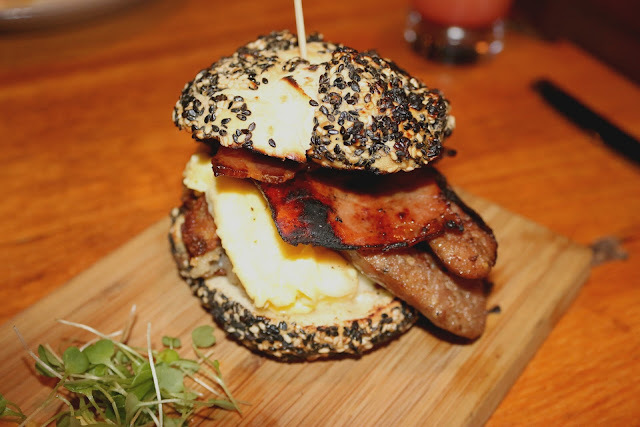 Epitomizing the house-made mentality - you had daily selections that rival any Philly bakery. 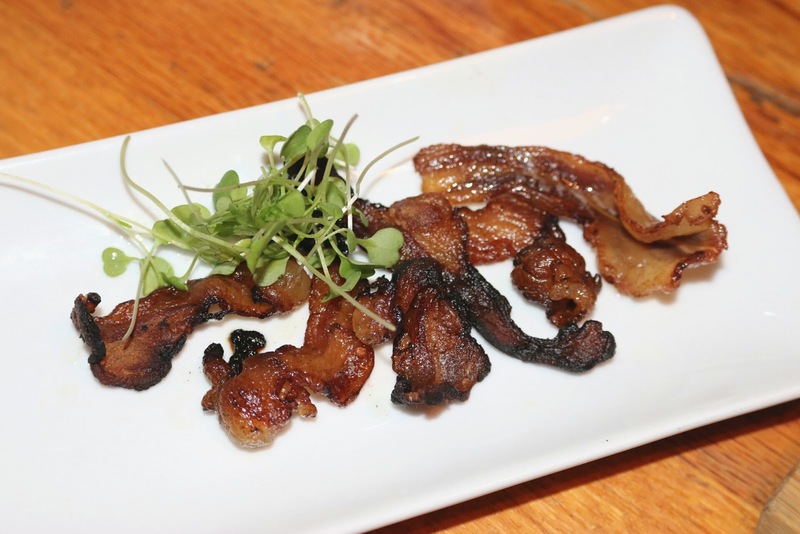 The savoriness of the bacon kaseri emanated tastes that would delight any carnivore. The light and crisp phyllo housed a creamy chestnut paste that was perfect for the Fall. And the sweetness of the moist pumpkin muffin and the light cinnamon date brioche could not be denied. Do get this! 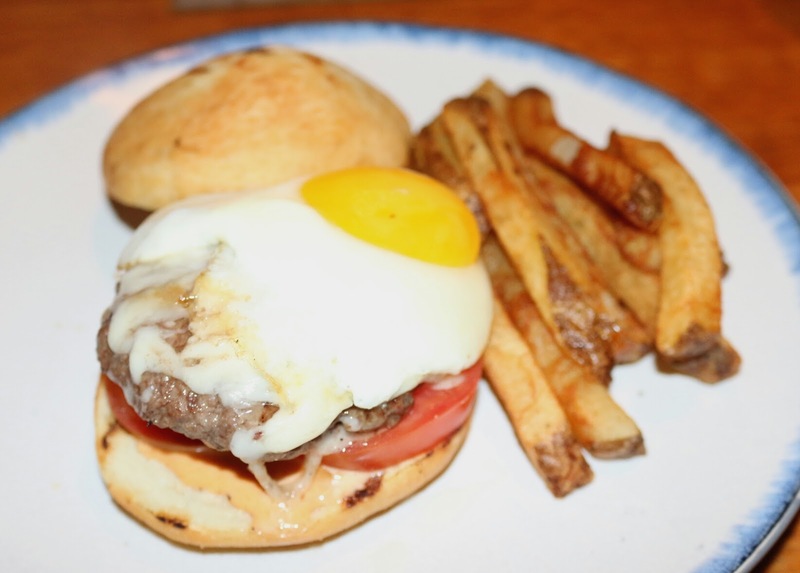 Opa's brunch burger was moist, juicy, and not overly seasoned. Nothing wrong with a huge mound of Kaseri melted on top and a fried egg, though admittedly, the yolk was slightly over. The house-cut fries were crisp and well-salted to round out a classic brunch staple. 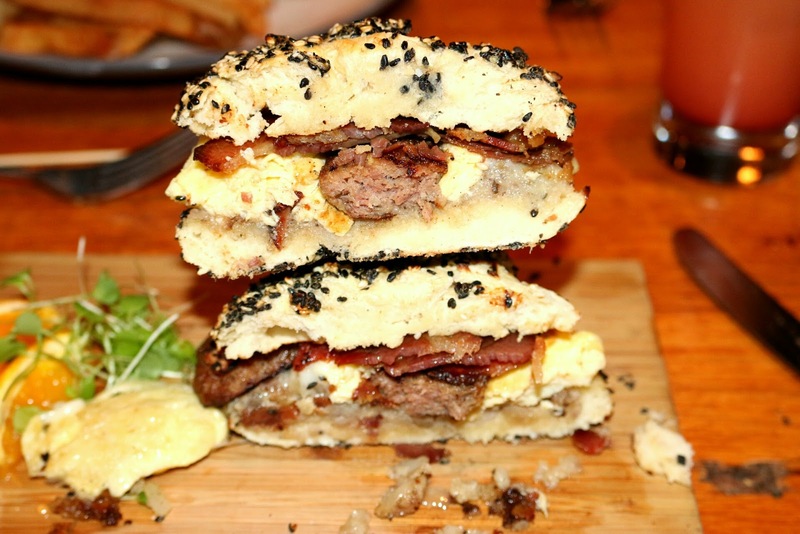 Meat lovers rejoice - the Everything Bagel will set you right. Snappy house-cured sausage, griddled, crisp ham, and soft scrambled eggs were laid on top of hearty hash browns and creamy kaseri. This is all between a house-made everything bagel, studded with poppy and sesame seeds with salt, onion, and garlic. Perfect for the Spartan on the go. And I couldn't leave without trying the lamb bacon - something you don't really see on the Philly food scene. Lamb lovers should definitely try this fatty side, which has the sweet grassy notes you'd expect. 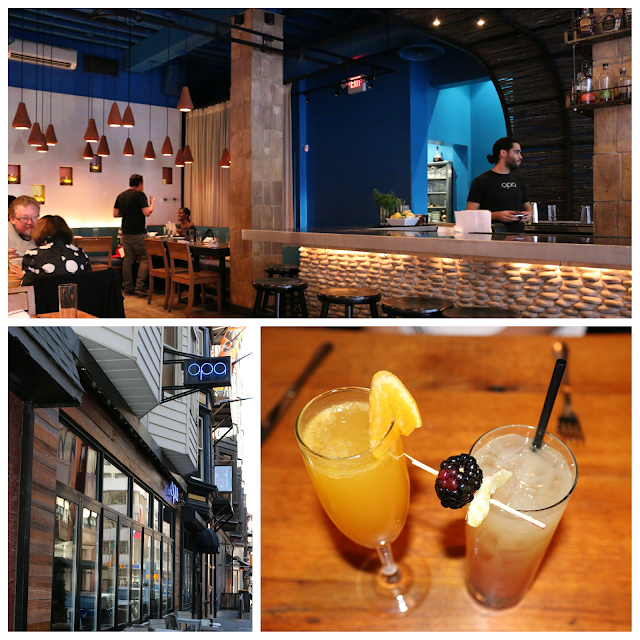 So whether you're looking to go Greek for brunch or simply want some hearty fare to tide you over on Sundays, stop by Opa. The ingredients will be fresh and, more than likely, all made in-house. FTC Disclaimer: This brunch was organized by Opa and Bondfire Media. Regardless, my opinions are mine alone and, therefore, unbiased.